Trail begins just west of the Corps of Engineers Office on Lake Stockton dam and meanders through woods with wooden bridge and loop. Limestone aggregate and pavement surfaces. Some parts Wheelchair accessible. 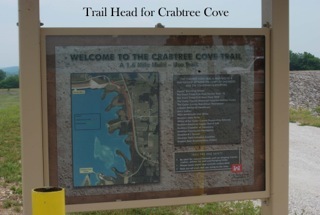 Crabtree Cove Trail (trailhead marker) - 1.6 Mile Trail (one way) with two additional loops. Quarry Loop, a 0.9 mile loop and Overlook Loop, a 0.7 mile loop. Easy terrain with parking at both ends of trail. 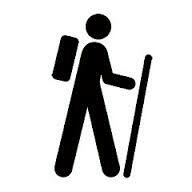 Good for hiking and trail biking. Limestone aggregate surface. Wheelchair accessible. Rutledge Bluff Overlook Trail (multi-use Equestrian/ Hiking/ Mtn. Biking) - Approximate 18 Mile Trail. Meanders between Orleans Trail Campgrounds(northern trailhead) and Hawker Point (southern trailhead). 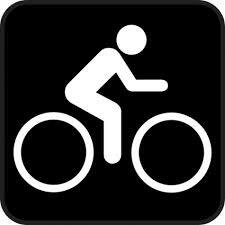 This trail is great for hiking or biking (no motorized vehicles allowed) and horseback riding. Equestrian camping at both trail heads. There are several entry and exit points on CORPS lake access roads. Old Mill Kids Fishing Pond and One Mile Trail Catch and release pond with two fishing docks for youth 15 years and younger. One mile trail or all with bridges and lots to see. 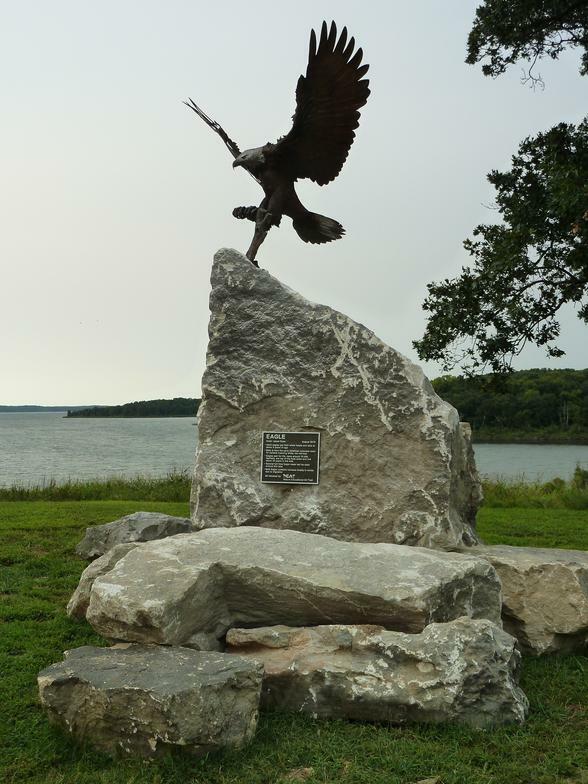 Located below the Stockton Lake Dam. Check out the FISH artwork near the pond placed by NEAT (Nature Education Art Trail) September 2016. Stockton Cabins Link Trail A short link trail from the Cedar Gap Trail to the Cabins at Stockton Lake and streets leading to Stockton Square, Post Office etc. 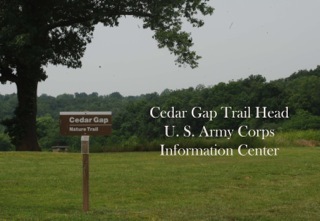 Near the Cedar Gap Trailhead and Shelter. Look for FISH and CHIEF art also.